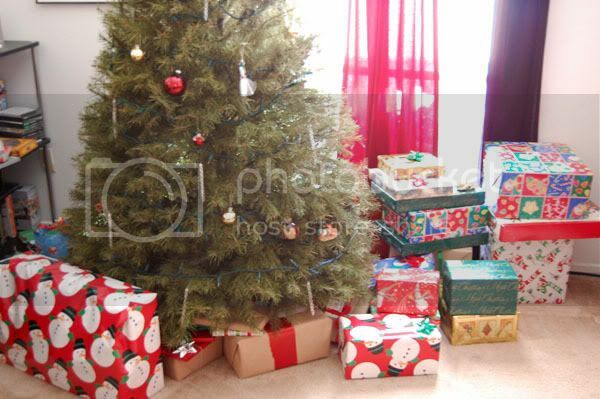 Here is a little pictorial of Christmas at our tiny apartment. 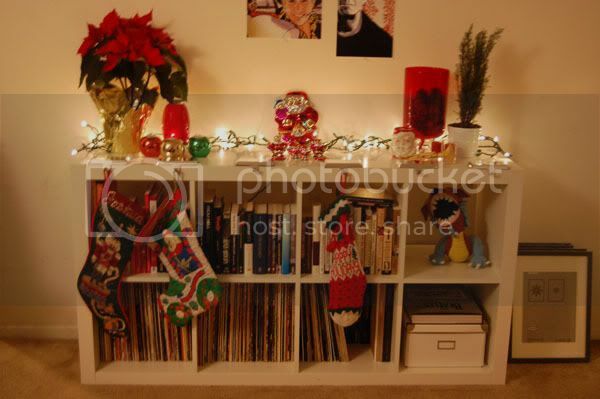 Here is our Expedit bookcase turned Christmas hearth. 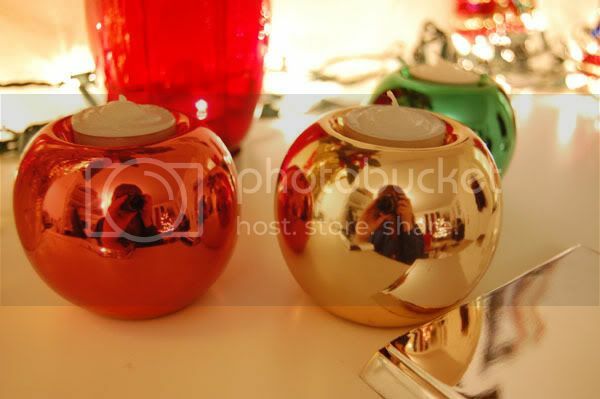 These are the shiny ornament tea lights that I got from Grandma Dorothy this year. Pay no attention to my goofy reflection. 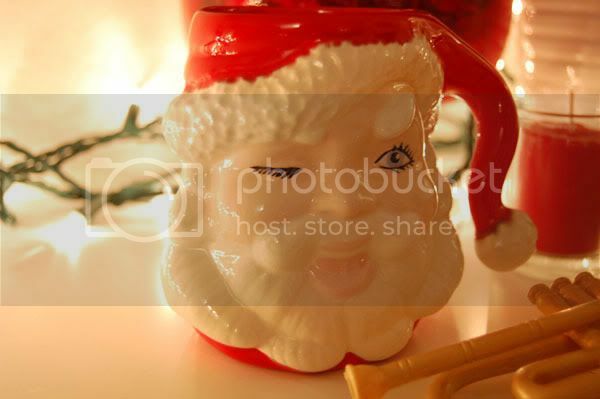 This is my Santa mug. My brother and I have each had one since we were babies. I don't drink out of him anymore, although I have once or twice. Now I just set him out to bring back happy memories. 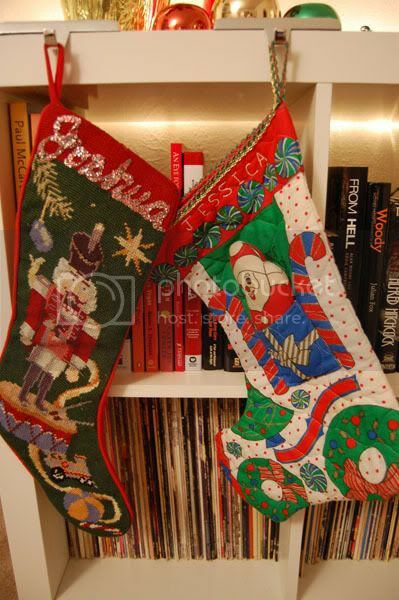 Here are our Christmas stockings. We use the stockings we've had since we were little, instead of getting new matching ones. I like it much better this way. Besides, where am I gonna find a new stocking with a pocket for my little stuffed Santa like this one? 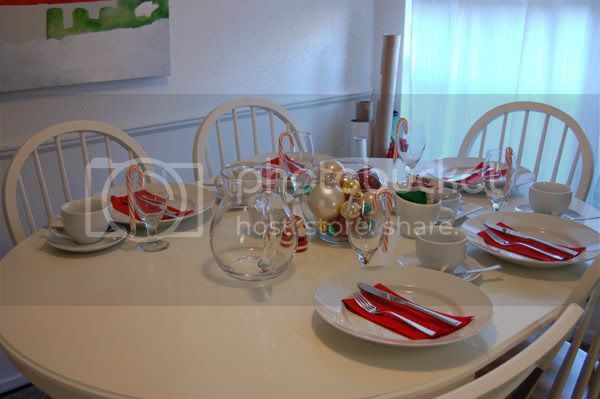 I set the table for Christmas breakfast the night before so I wouldn't have to get up as early the next morning. I love the look of a just-set table. It gleams with anticipation of the food and conversation to come. 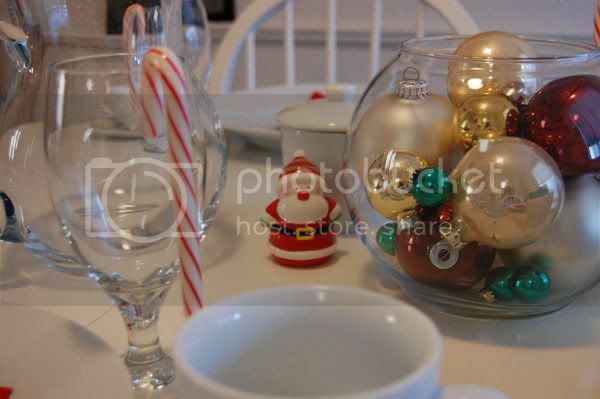 And here's a little close up of a salty Santa Clause peeking around the centerpiece. Here's our somewhat dismal Christmas tree. By Christmas morning it was one dirty look away from bursting into flames. And half of the colored lights burned out two days before. Not the best looking tree we've ever had, but it still made us happy to look at. The giant safety hazard went out the day after. We realized why our tree wasn't fairing so well though, so next year we can avoid the mistakes. Here are my gifts to Josh right before he tore into them with glee. 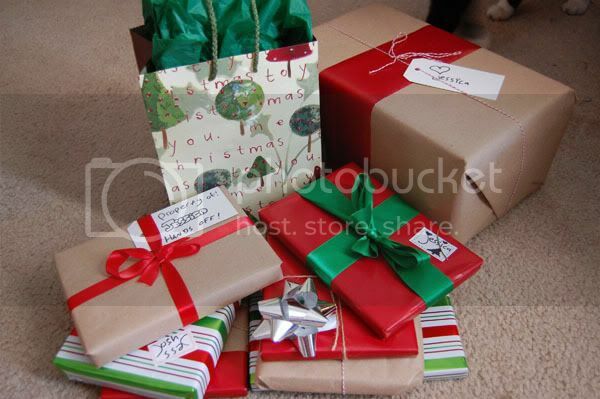 And here are Josh's gifts to me, so well wrapped and with his ever clever tags. Every year it's a surprise what he might write on them. 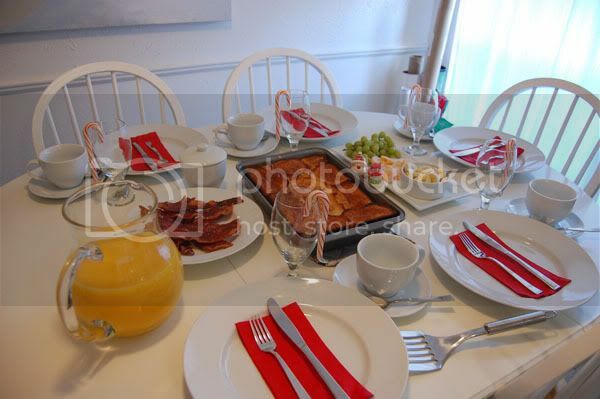 And here we have our delicious Christmas morning breakfast. If you want to see and read more about what he had you should head on over to Small Time Cooks. 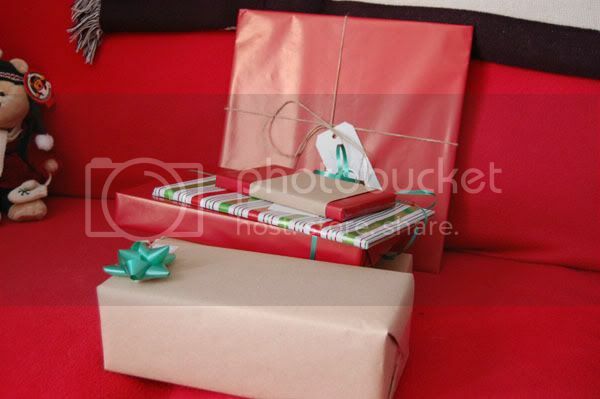 I love the look of the brown wrapping with the green and red accents. Simple and lovely.